NEW high capacity GrainVAC Series MAKES LOADING GRAIN FAST AND EASY! Testing shows that results may vary based on conditions. 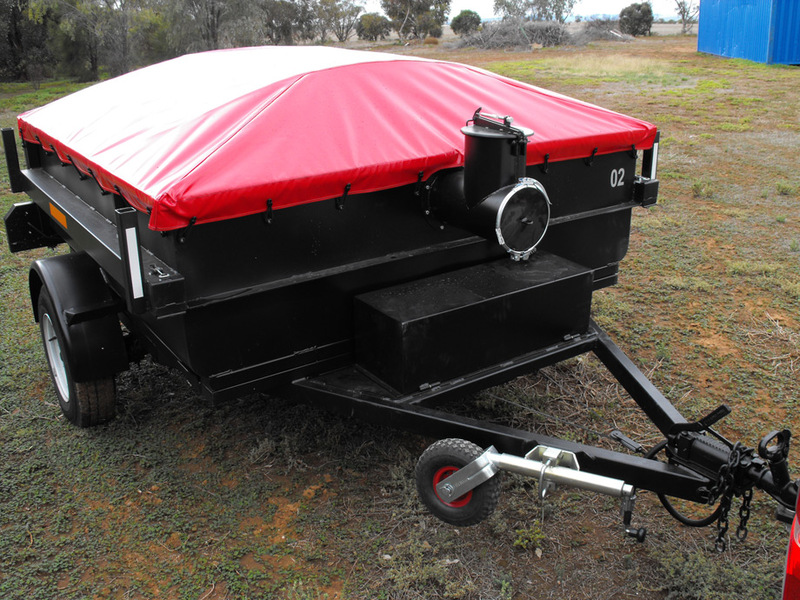 Minimizes tractor lug-down and increases tractor efficiency. 16’ auger clearance large trucks and grain carts. 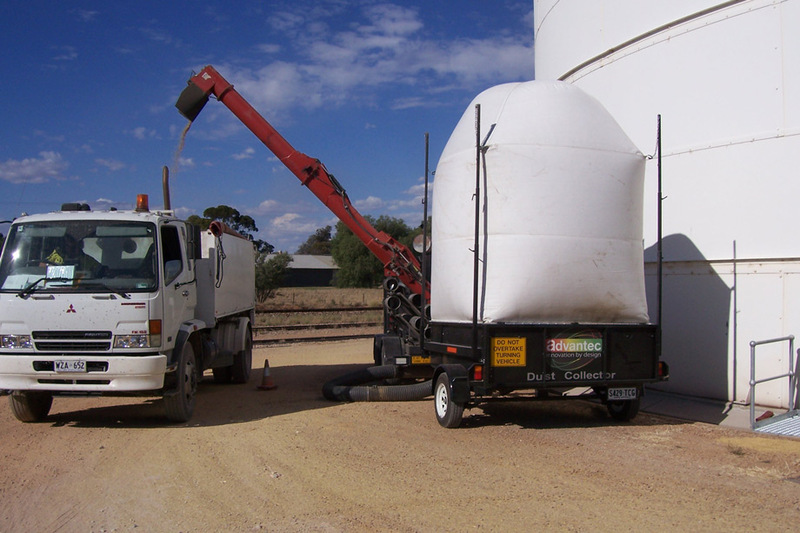 Seed Quality: Independent tests by grain elevators indicate that the Rem Grain VAC causes less damage to valuable seed than conventional vacuum systems where high speed airlocks are used. The unique drum and exhaust design separates dust and foreign matter from the grain, thereby improving the quality of the material that you deliver. Tachometer and hour meter to ensure the PTO is running at the recommended speed and to monitor the operational hours of the GrainVAC. 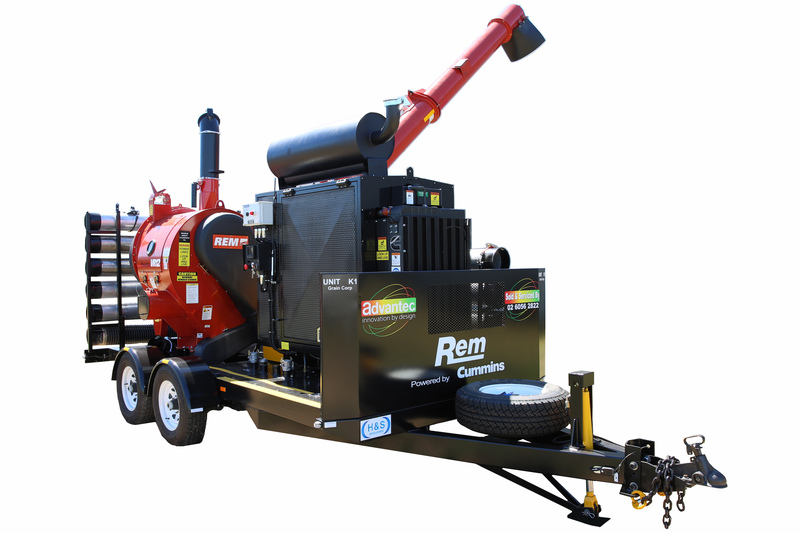 The Rem GrainVAC ensures a dust free environment in the bin and eliminates dangerous open augers. The design provides safe access for servicing and part replacement. All aspects of GrainVAC operation have been tested, inspected and safety approved. The Rem GrainVAC system was patented in the USA in 1989. Minimal wear on parts has always been our strength. Settling chamber extends rotor life by keeping some heavy debris out of the air stream. Less moving parts than other grain vacs. High speed bearings. Less down time: replacement parts available with easy access for replacement. The simple, no-nonsense design of this machine naturally lends itself to low maintenance requirements. 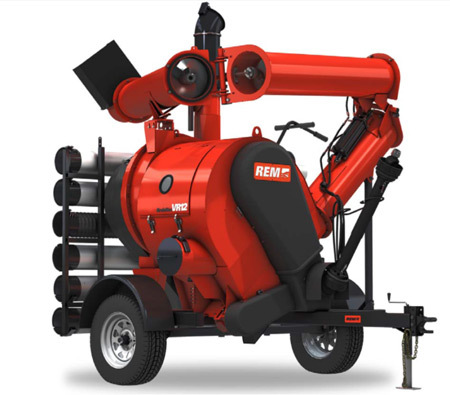 This machine features an efficient drive system and a tough powder coat finish. Heavy duty gearbox for trouble-free use, with a gearbox guard that is hinged – no wrenches required to access the shear sprocket drive assembly. New style high flow exhaust allows for greater airflow thereby improving performance. Lower auger clean out door is easy to access with the handle, keich makes it user friendly. The inspection window and air throttle improve the control the operator has for various applications. Inlet height 38” from ground while positioned at the bin. Heavy duty gearbox and drive-line components. Gearbox guard and shear sprocket guard now hinged and removable, no wrenches required. The same impressive features of the VR12 Plus…. NEW! Heavy-Duty Auger Bearing Mounts: The middle auger bearing mounts are heavy-duty to support the weight of the auger and the material moving through during operation. Auger bearing mounts are a single leg bearing support. NEW! Lower Noise: Specially engineered airflow technology dramatically reduces the noise volume and pitch. NEW! “Locked in place” Rotor Assembly: Rotators come locked in the proper position from the factory. Rotor is held in place with a lock nut. When you have to replace the rotor or bearings there is no need to make adjustments to get the proper clearance between the rotor and the inlet plate. This design allows the rotor assembly to only be in one place. NEW! Unique Auger Design: Fold and unfold adjacent to the bin. 10″ discharge. 16′ Clearance. Protected upper auger bearing. NEW! Hassle Free Machined Fit: Hassle free machined fit between the rotary screen and rotor inlet plate. No more seals to replace between screen and fan. NEW! Modular Directional Exhaust: Swivel action allows you to adjust the exhaust direction. Modular components – purchase optional components to adjust the direction & the length of the exhaust. NEW! Rear Idler Assembly: Engineered for fewer moving parts and less maintenance. NEW! High Flow Discharge: Single door allows for tighter air seal. Capacity: Up to 6000 bushels per hour during full bun load out. Note: results may vary, particularly in clean up, where speed depends on the hose type and operating conditions. Hose configuration is important for optimising maximum capacity: use the stainless steel flex hoses and aluminum pipes first and the flexible rubber hose when necessary. Use the bin load out nozzle for full bin load-out and the floor sweep or vac nozzle for final clean up operations. Reduce vibration during operation. Smoother towing at highway speeds. Monitor the hours the GrainVAC has operated and to ensure the PTO is running at the recommended speed. Independent tests by grain elevators indicate that the Rem GrainVAC causes less damage to valuable seed than conventional vacuum systems where high speed airlocks are used. In addition, the unique drum and exhaust design separates dust and foreign matter from the grain, thereby improving the quality of the material that you deliver. 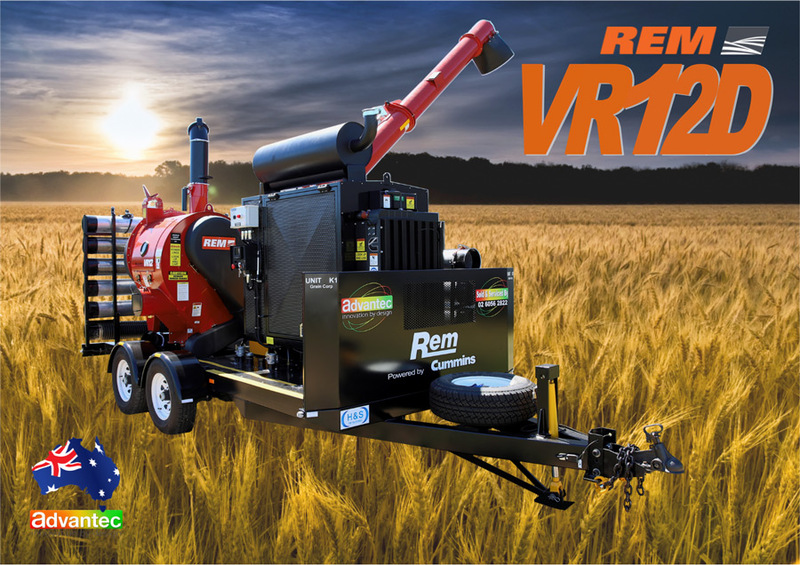 The Rem GrainVAC gives you a dust free environment in the bin and eliminates dangerous open augers. The design provides safe access for servicing and part replacement. All aspects of the GrainVAC operation have been tested, inspected and safety approved. High Speed rotor bearings. High tech design of this machine naturally lends itself to low maintenance.